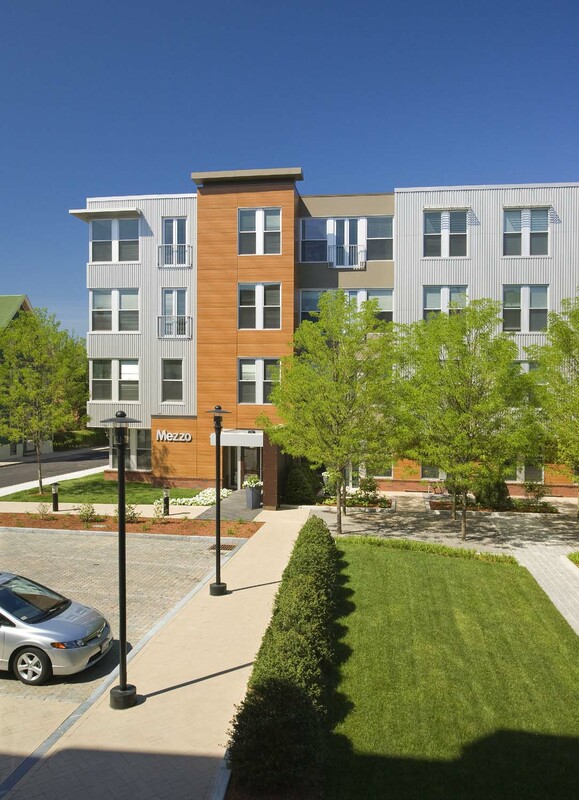 Located in the historic ‘Little Neck’ section of Charlestown, Mezzo Design Lofts is a new transit–based condominium development featuring 146 units (including approximately 10% designated affordable housing) adjacent to the Sullivan Square MBTA Station, two miles north of downtown Boston. 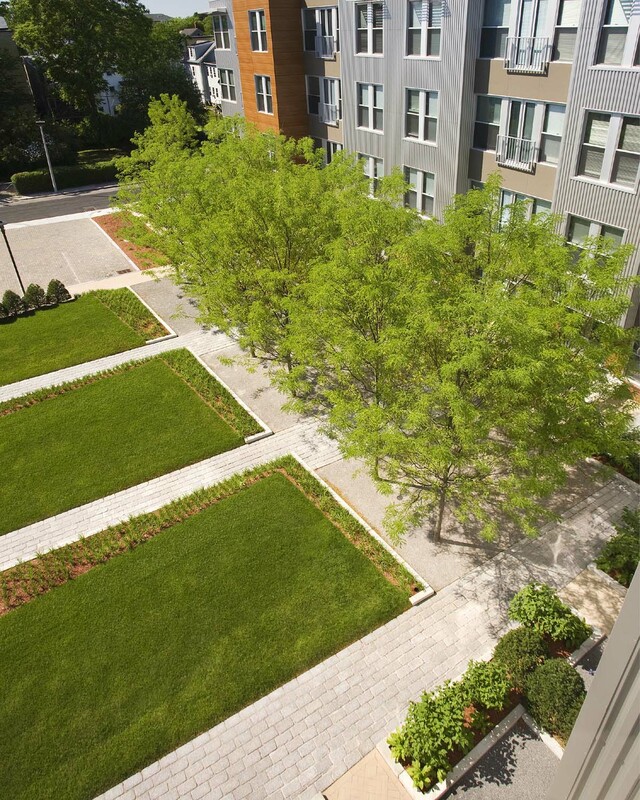 In collaboration with the project architect, CRJA-IBI Group revitalized a once blighted portion of the city into a unique, modern neighborhood site of urban loft-style homes and a large courtyard. 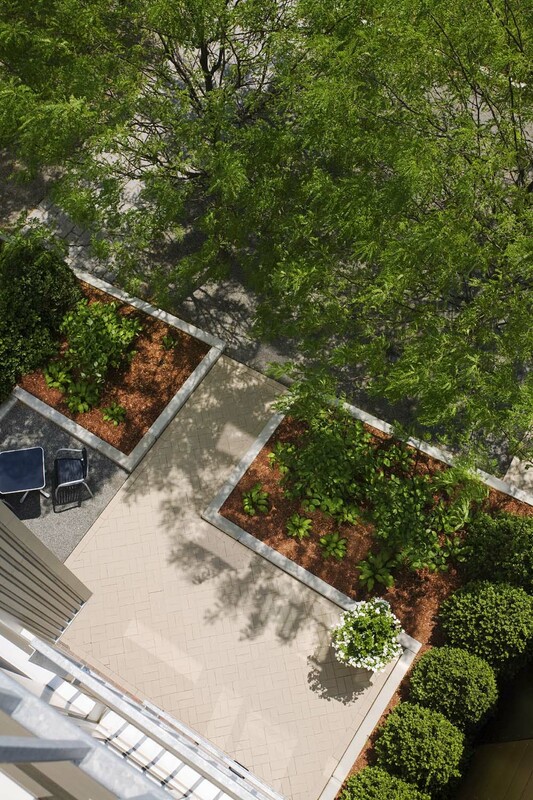 The courtyard, both public and private, consists of ground level garden patios and is highlighted by a bosque of specimen trees and rectilinear, sloped lawn panels. The site design looks to engage the unique façade of the architecture by incorporating a rich texture of surface materials on a distinct underlying geometry. Along with the local development firm of Cathartes Private Investments, the development’s major equity investor, Canyon-Johnson Urban Fund, is a joint venture between Canyon Capital Realty Advisors and Earvin “Magic” Johnson’s Johnson Development Corporation.